Free Valentine’s Day Printable– cute idea for kid’s Valentines! Valentine’s day is almost here, and if you’re a crafty mom like I am, you’re already planning. This year I am making Valentines for my 6 year old to hand out in class. It’s a great way to save a few bucks, and make them stand out. We aren’t allowed to take candy or sweets to class (boo) so I thought I’d send individual bags of chips. Every kid loves chips, and the school can’t object. Win-win! What better way to let your friends know they’re admired than by by telling them that they’re ‘all that and a bag of chips’?! 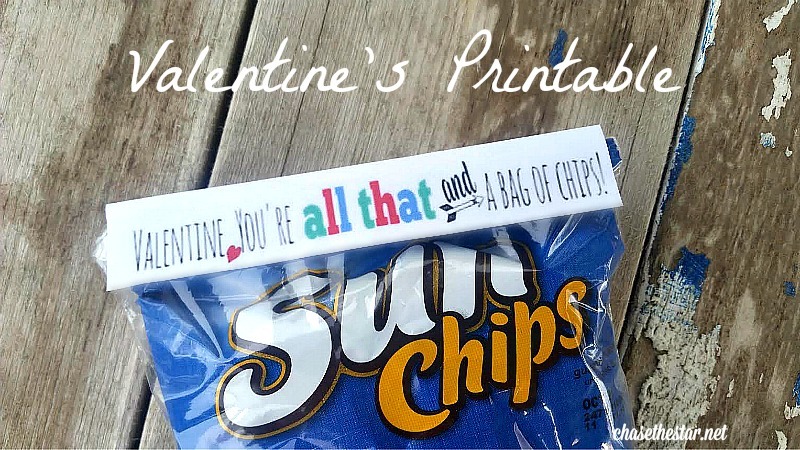 FREE PRINTABLE: VALENTINE, YOU’RE ALL THAT AND A BAG OF CHIPS! 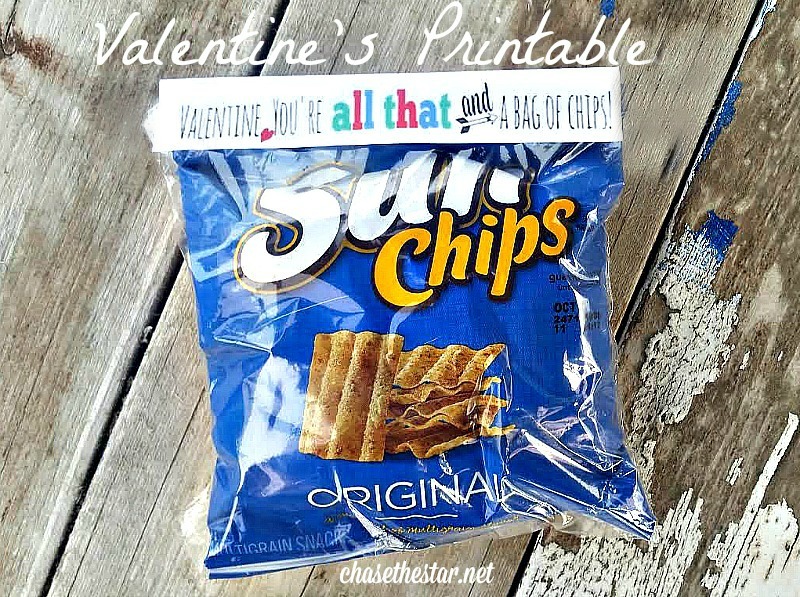 All you need to make these cute Valentines is a computer, white card stock, sandwich bags, small chip bags, and a stapler. Scroll down to the image at the bottom of this post, and save it to your files. 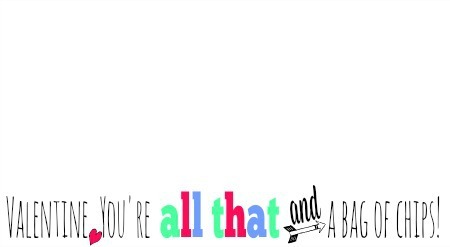 Print it out on the card stock, and cut out. Have your child write their name on the back (“Your Friend, _____”). 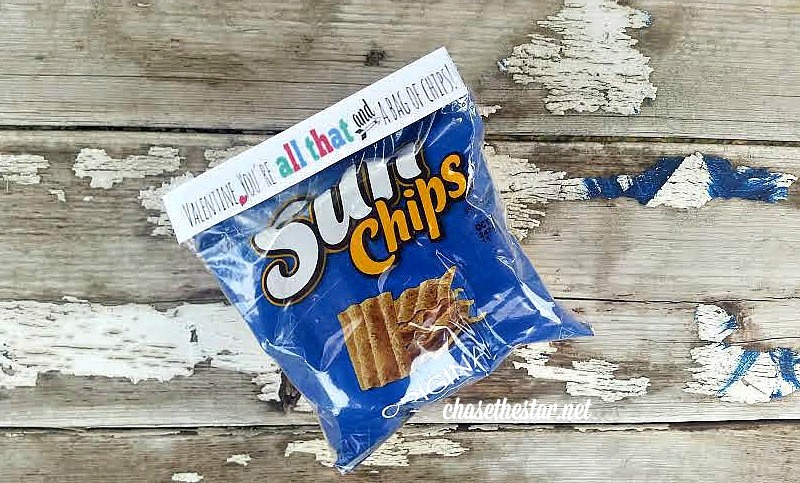 Place the chip bags into the sandwich bags, and fold the ends so that the card stock covers, and staple in place. Right click on the image below and click on ‘save image as’. 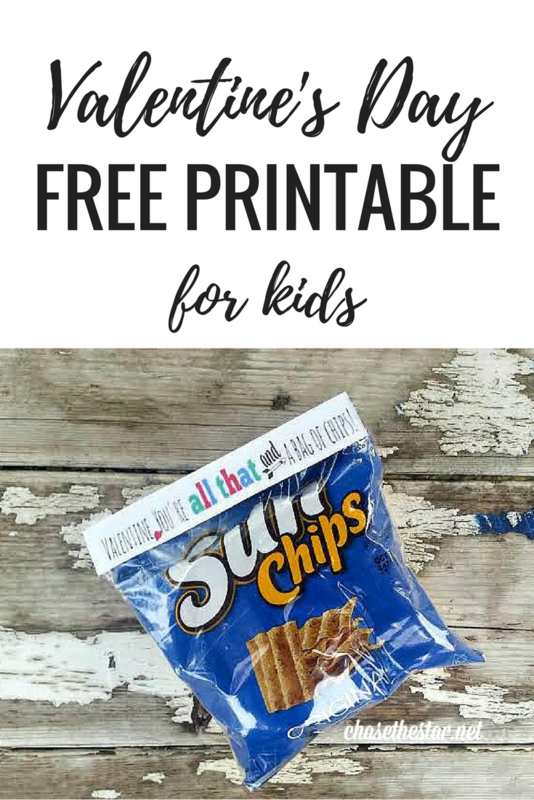 Unlike perishable treats or chocolates, chips can be eaten whenever, so there is no worry that they’ll spoil if not eaten right away. Easy to put together and nominal cost, can’t beat that! How stinking adorable is THIS?! LOVE!